Woa! Today's Cooking show will learn you how to cook steak. You will have cook it yourself, of course with the help of adult. Welcome to the "Cooking Show". Lets learn how to make "Steak". Learn how to cook a tasty tender steak in Cooking Show game. Now, chop up the garlic by tracing the arrows till you have little pieces. 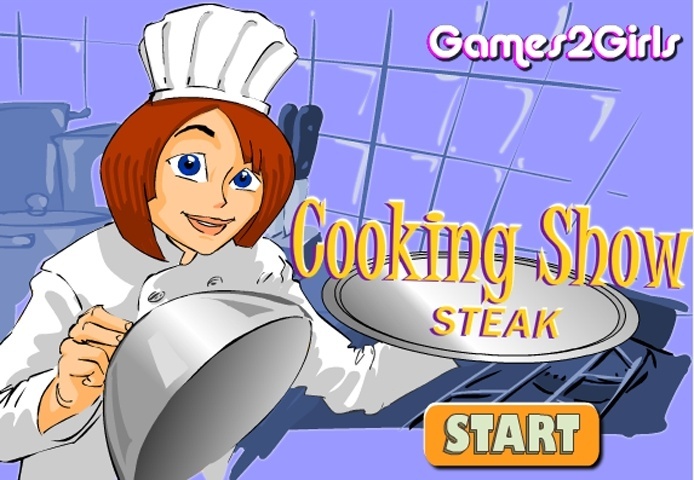 If you want to play Cooking Show Steak games online you have come to the right place! GamesLoon adds new Cooking Show Steak games every week. This is your game portal where you can find the biggest collection of free Cooking Show Steak games online. Do not forget to rate our Cooking Show Steak free online games while playing!